The “Orthopedic Supersite” titled the article this way: Study finds patients who initially visited a chiropractor had reduced odds of chronic disability. So I’d like to think I’m not being too biased when I post this blog but rather relating the sentiment of several others that have reviewed this material. For 100 years the public has been told that doctors of chiropractic are not real doctors, “quacks”, “posers” or the like. Yet study after study shows the effectiveness of chiropractic care. Studies published in Spine (The Orthopedic Surgeon’s research journal) in 2003, 2006 and now research presented at Spine Week 2008. 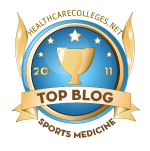 May 26-31, 2008 in Geneva, Switzerland again shows that chiropractic has earned its rightful place in the healthcare roundtable with more validity of its effectiveness. In Florida, Chiropractors have virtually been cut out of the workers’ compensation system based on political gaming, conjecture and half truths. Yet, studies like these keep coming out that show the effectiveness of chiropractic over their medical alternatives. Most recently, Judith Turner, PhD & colleagues at the University of Seattle, Washington found that injured workers who suffered a job related back injury had better outcomes when they saw a chiropractic physician first, as opposed to seeing an occupational medicine physician first. The finding concerning chiropractors surprised the researchers who expected to see the best outcomes in the 7% of patients who initially saw an occupational medicine physician. “In fact” Dr. Turner says, “if anything, they had somewhat worse outcomes,” with the occupational medical physicians. At the University of Washington, Seattle, Judith A. Turner, PhD, and colleagues interviewed 1,885 injured workers 3 weeks after they filed a claim for a job-related back injury. 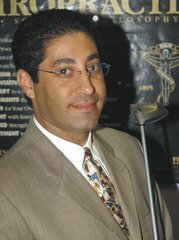 Turner presented the findings at Spine Week 2008, where the investigators received the prize for the best clinical paper by the International Society for the Study of the Lumbar Spine. Turner urged physicians to consider radiculopathy (pain traveling into the leg) a red flag for chronic disability and not only look for early signs of physical disability in these patients, but see them regularly in the days after their injury. At each visit, the physician should ask about their level of activity. “Give them a strong message that early activity is good, that bed rest and avoiding activity are not helpful,” and encourage them to return to work as soon as possible, Turner said. The investigators developed a disability risk screening questionnaire based on their findings and expect to start a pilot program in Washington to determine if screening and early intervention for those at high risk can prevent chronic disability after on-the-job back injuries. I applaud the unbiased reporting of the outcomes of this paper. This could have far and wide reaching implications for the chiropractic profession. Hopefully getting our foot back in the door with workers’ compensation. Hopefully this kind of research will stop Blue Cross & Blue Shield’s efforts to downgrade the chiropractic profession to second class citizens. But the record clearly shows that when it comes to back injuries, the injured workers should see a chiropractic physician first. Doctors of chiropractic are well trained in orthopedic and chiropractic physical examination as well as differential diagnosis. If the condition is something appropriate or inappropriate for the chiropractor’s scope of care, the chiropractic physician should make that call. Because we all know, for the past 100 years, it’s been the other way around and according to the research, it’s been the wrong approach. They say you can bring a horse to water but you can't make him drink. I think it's time we just take a bucket of water and dump it over the horse's head. When are people going to make decisions because it's the right thing to do, rather than what is politically correct. As physicians of any discipline, we are supposed to do what's right by the patient. (1) Turner JA, Franklin G, Fulton-Kehoe D, et al. Early predictors of chronic work disability: A prospective, population-based study of workers with back injuries. Presented at Spine Week 2008. May 26-31, 2008. Geneva. (2) Santilli V, Beghi E, Finucci S. Chiropractic manipulation in the treatment of acute back pain and sciatica with disc protrusion: a randomized double-blind clinical trial of active and simulated spinal manipulations. The Spine Journal 2006; in press, published online Feb. 3, 2006.